Korma also spelled as Qorma or Kurma is a popular Indian gravy made with yogurt and rich nuts/seeds paste. 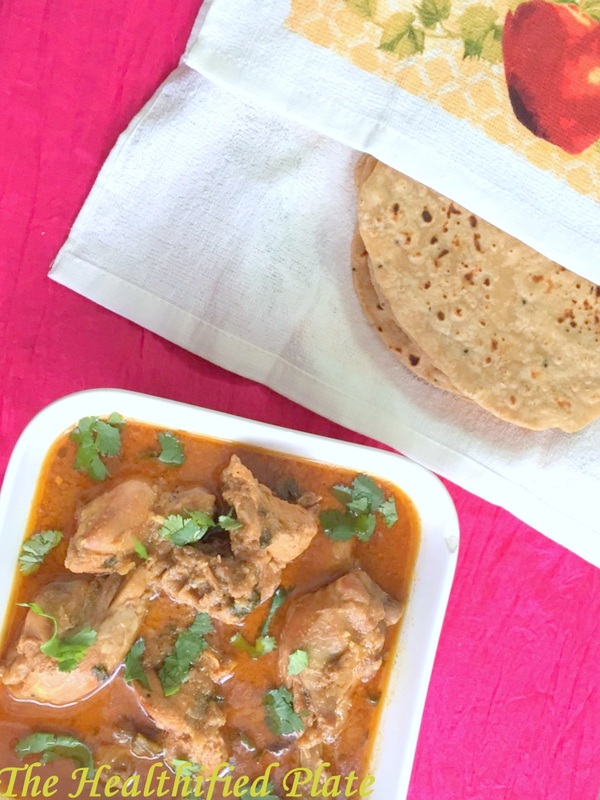 This Chicken Korma is one of the easiest and delicious preparation with slow cooked chicken in creamy yogurt and coconut paste along with other flavorful whole spices. We had our brother-in-law’s family for weekend and I made this along with parathas (Indian flat bread) for a heavy brunch and it was irresistibly delicious. Such simple and easy recipes are what I prepare for them whenever they come over, as we as a family relish such comfort food. Yes, I call it a comfort food because it gives us the comfort of familiarity, simplicity and the nostalgic memories of childhood weekend meals prepared by our mothers. Even now when I visit my parents, this recipe is a must and I ask my mother not to alter it a little. First, the chicken is marinated in spices and yogurt for at least 30 mins. Yogurt tenderizes the chicken and makes it more juicy. 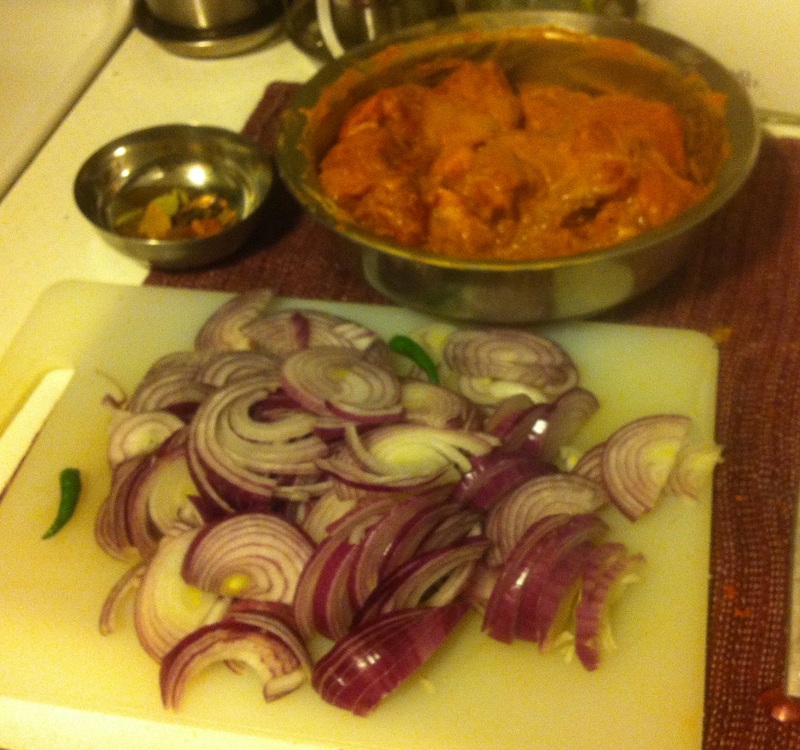 The onions are caramelized till golden and the whole marinated chicken is simmered along with onions for 20-25 mins. Coconut paste or any nut paste can be added to give richness to the gravy and cooked for more 10 mins until desired consistency of the gravy is reached. You can just avoid this nut paste and even then the korma tastes delicious. Relish this rich, creamy and spicy chicken gravy this weekend with your family and friends. 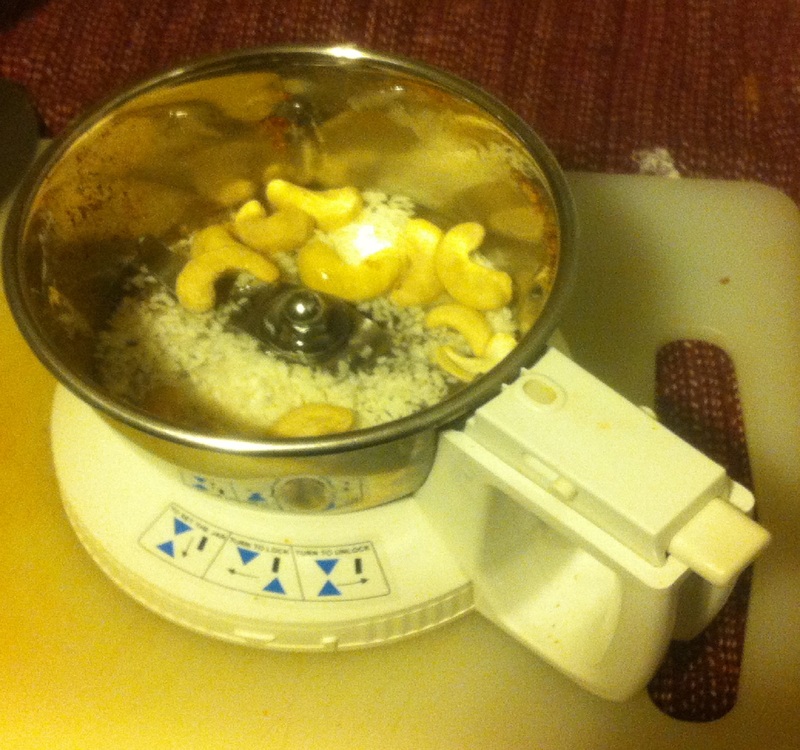 Grind desiccated coconut powder and cashews with a little water to form thick paste and set aside. 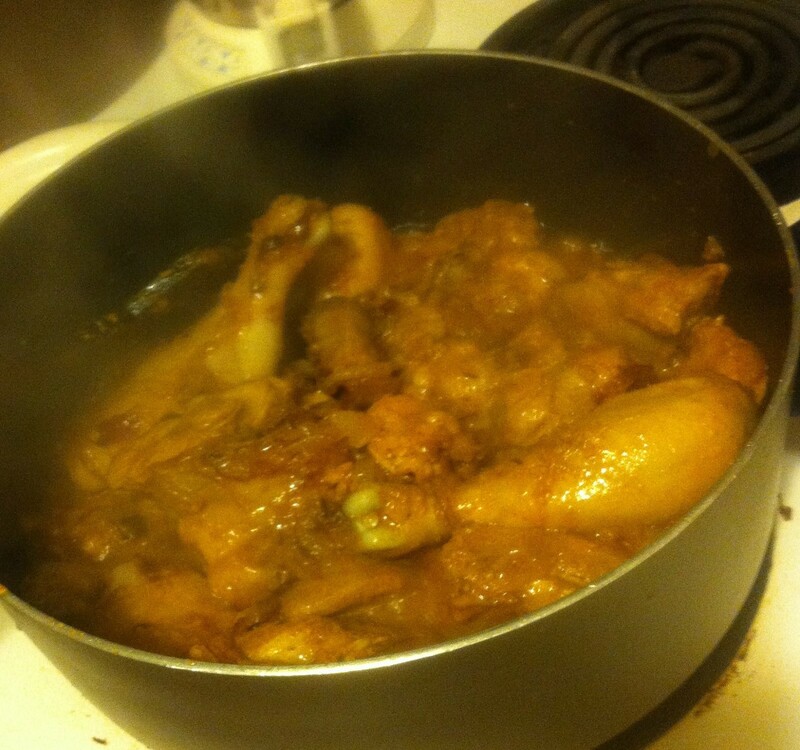 Marinate the chicken with the listed ingredients in marination section and set aside for 30 mins. Heat oil in large non-stick pan on medium-high and add bay leaves, cloves, cinnamon, cardamoms, shah-jeera and let them crackle. Add the marinated chicken and stir for 2 min and cover cook for 5 mins. Add 3 cups of warm water and bring it to boil and simmer for 10 mins. Add the nut paste, stir nicely and again cook covered for 10-15 more mins until the oil separates from edges and the chicken is cooked. 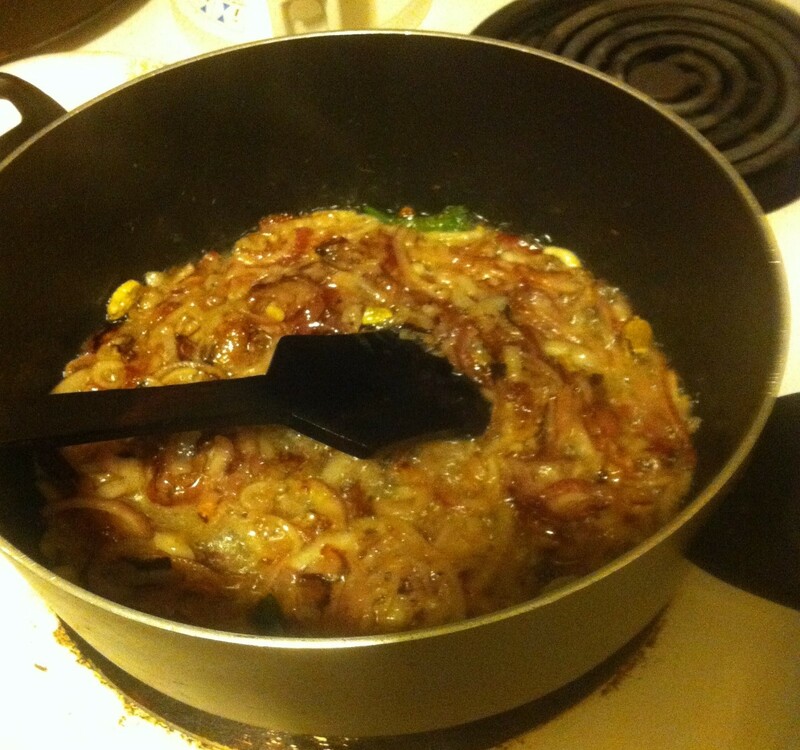 Adjust the seasoning and add coriander leaves.